Arrived on time. Quickly found the problem. Great customer service and repair. Thanks a bunch! Best technician I've encountered in several years! Thank you Shemeta Carson for your knowledge, skill and professionalism! The men were on time, courteous and knowledgeable. They diagnosed the issue and educated me on the appliances. Mr. Tappin is an experienced professional; very knowledgeable about the Whirlpool products he services. 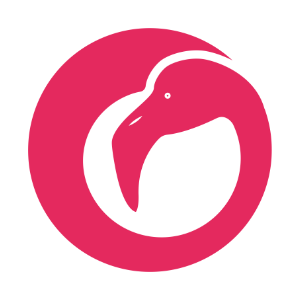 Second time I've used Flamingo. Service is great, although punctuality is a wee bit off from the already large window. However, everything was fixed and ready to go quickly and the repairman was friendly and very knowledgeable. From start to finish everything was handled in a very professional manner. $98 trip charge does not apply to service. The gentleman customer service representatives were very professional, and helpful. I've been having a problem with my whirlpool washing machine and Roy has been helpful. 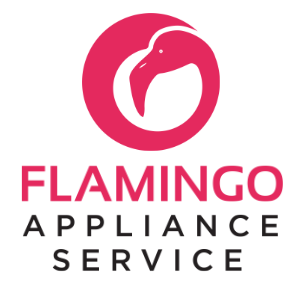 Service with Flamingo is quick and timely. Mr. Tappin is very knowledgable of his job. He calls in advance to help expedit the process of the service call. Awesome service by very knowledgeable and professional technicians. WASHER ADMIRAL ATW4675YQ0 "check one washer and found capacitor low mfd replace one cap , recaliberate machine control and run auto wash cycle"
REFRIGERATOR WHIRLPOOL ET1CHMXKT03 "install heat probe, cleared out ice, unit working good." REFRIGERATOR WHIRLPOOL KSC23C8EYW02 "CHECK ONE SIDE BY SIDE REFRIGERATOR AND FOUND THE FRESH FOOD EVAP COIL ICE BUILD UP; ordrng 1 WPW10453428 (ASSY-MOTOR, EVAP INSULA) and 1 W10316760 (THERMISTOR KIT)"
DISHWASHER WHIRLPOOL WDF130PAHS0 "diagnosed one wpl DW, found out that the unit heater is not drying the dishes, leaving them wet at the end of each cycle. ordering heater and maiin control; ordrng 1 W11087225 (cntrl-elec) and 1 W10518394 (heater)"
REFRIGERATOR WHIRLPOOL ET1CHMXKT03 "diagnosed one wpl fridge found that drain hoses is clogged, allowing water to ran down in damper to food. orderin g819043; ordrng 2 819043 (heat-probe)s"
DRYER WHIRLPOOL WED4915EW1 "Check one dryer not srarting found grounded element fuse and handle,replace heater fuse and handle,test unit check ok FCC. ; used 1 WP3392519 (THERMAL FUSE), 1 279838 (ELEMENT), and 1 W10861225 (HANDLE) from stock"
OTR MICROWAVE WHIRLPOOL WMH32519FT "DIAGNOSED ONE WPL OTR MICROWAVE , FOUND THAT CONTROL AND BUTTONS NOT OPERATING PROPERLY. ; ordrng 1 W10890786 (UI) and 1 W11342846 (CONTROL)"
REFRIGERATOR JENN-AIR JFC2089HES "diagnosed one jenn-air fridge, found that compressor was clicking on and off. replaced overlay and relay. unit working good." REFRIGERATOR-FD WHIRLPOOL WRX735SDBM00 "check one french door frerigerator and found the water line fill tube leking; ordrng 1 67006317 (TUBE W/WATERLINE, FILL-I)"
DRYER MAYTAG MEDX655DW1 "diagnosed one maytag dryer, found out that the timer was bad, replaced timer on unit. working good." WASHER WHIRLPOOL WTW5000DW2 "diagnosed one wpl washer, found that unit wasnt getting enought of water, and also found that lid lock lights wasnt coming on. replace control board , unit working good"
WASHER WHIRLPOOL WTW5000DW2 "diagnosed one wpl washer, found that unit has error code F8, E1. also found that unit only releases a little amount of water into tub. ordering W11116590; ordrng 1 W11116590 (control board)"
WASHER MAYTAG MVWX655DW1 "DIAGNOSED ONE MAYTAG WASHER, FOUND THAT UNIT DIDNT COME ON AT ALL, ALSO FOUND THAT BREAKER WAS TRIPPED, CHECKED AND TESTED UNIT. WORKING GOOD. FCC"